Music lovers are in for a rare treat this Friday night in Ennis with a concert featuring the award-winning Seoda Chamber Choir and renowned singer-songwriter Lucinda Drayton. 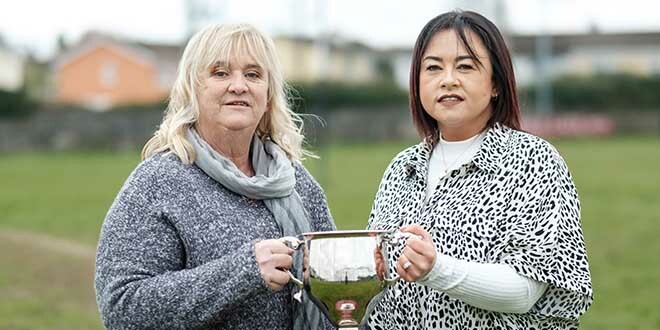 The fundraising concert in the Templegate Hotel is in aid of the local Bushypark Treatment Centre which does tremendous work to support individuals and their families struggling with alcohol, drug and gambling addictions. 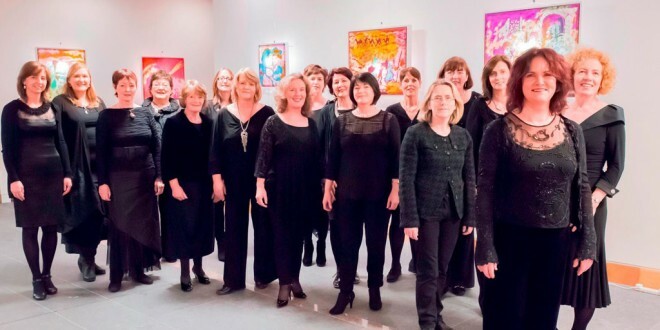 The Seoda Chamber Choir from Limerick is a talented group of female friends who share a love of choral music and fun. Together they have created a magnificent sound under the very talented director, Máire Keary Scanlon. Now in their eleventh year together, Seoda has travelled extensively both at home and abroad and has achieved many accolades and tremendous success in competitions and performances alike. The choir reached a gold standard at the Prague Choral Festival in October 2015 and Máire Keary Scanlon won the Best Director of the Festival Award. “We like to sing popular songs that people will recognise, but we are not afraid of the challenge of doing more difficult choral works and contemporary and older pieces that have stood the test of time,” Ms Keary Scanlon said. Among the popular songs the choir will perform on Friday night are: Sweet Dreams by the Eurhythmics and Hallelujah by Leonard Cohen, as well as some older songs by composers like Orlando Gibbons. Ms. Keary Scanlon said that Seoda is delighted to support the work of the Bushypark Treatment Centre for a second year and to share the concert with Lucinda Drayton. “We are also extremely happy to have Ennis-based musician, Noel Lennon, accompanying us on the night,” she added. Lucinda Drayton is a very successful singer songwriter with over nine albums to her name. She wrote a number 1 hit and is extremely well-known throughout the natural health/healing and spiritual world for her beautiful song, A Hundred Thousand Angels. The Bushypark Treatment centre provides a 28-day residential treatment care programme for addicts in a large catchment area stretching from North Clare to the Kerry border. It also has an excellent Family Support programme. Since the centre was founded over 10 years ago, it has helped over 130 people struggling with addiction problems and it also provides a Continuing Care Programme for them when they go back home. Mr Murphy said this is a valuable local service and he has asked people to support the fundraising concert to help them to continue their work and develop their services.